Day 114 of my active duty tour - I really am getting antsy to get to my final destination, be it hotter and with much more work as it is. I will be out of touch for a few days until I get there and settle in. When we first arrived at Phoenix Academy [the location where Military Transition Teams receive their final training] we had a couple of distinguished visitors drop by. First, LTG Austin, the commander of Multinational Corps Iraq, came by and gave us his take on the fight, as well as his priorities for the year. Then we had GEN Petraeus stop in and go straight to Q&A. Fair enough, otherwise we wouldn’t be here. GEN Petraeus also gave an amazing summary of where we had been and where we were. I like to think I was reasonably kept informed, and I was a bit startled. But he said he wasn’t doing any victory dances in the endzone right now. We face an increasingly desperate enemy who has shown they can adapt at the tactical level, and will resort to anything in order to intimidate, kill or destroy. But our progress was undeniable – and he mentioned that he wasn’t selling sunshine, he was selling reality. He also made a couple of humorous cracks on himself about testifying in front of Congress – good to see in a 4 star officer. One of his final points was on dealing with the press. He told us we just had to do two things; tell the truth – good or bad, and get the story out there, soonest. He showed a close grasp of how the news cycle works, for TV especially so. All in all, a very thought provoking event. Last night we had a bit of a surprise. We were paid a visit by Sergeant Major of the (Iraqi) Army Adel. He has possibly the hardest job I can imagine; build the NCO corps of the new Iraqi Army. The old Iraqi Army paid no heed to it's NCOs, it was a very Officer-centric/Soviet model force. So SGMA Adel has to fight not only to get his NCO corp built from almost scratch, he has to overcome an old and entrenched cultural problem. Training, doctrine, logistics and organization are all problems that he is facing. Oh, and all this during a war. I don't envy him his job one little bit. SGMA Adel is probably the best of the old Iraqi Army's NCOs, and he joined the new Iraqi security forces as soon as possible in 2003. It is clear that he wants to serve his country and her army. In answering questions, he made it clear that our Transition Teams assistance would be invaluable to him. OK, SGMA Adel, I'm in. here is the link you want to go to - look on the right side of the page. Update 2: also, Rockets. Early this morning. UPDATE 3: Damn. 2 WIA, 5 Iraqis killed and 14 civilians wounded. Some got close enough to give us a good loud sample, but nothing worse. Stuck in Kuwait. Had a fairly impressive sandstorm yesterday - of course I have a whole series of impressive pictures, but my USB cable from my camera is in the baggage container that left a while ago... bah. I have to give the Camp I am at an "A" for just about everything. We had some good follow-up training, the food is terrific and the tents have AC/Heat. The showers only conked out once so far too. I guess the fact that I am posting on this site tells you that there is internet to be had as well. Hopefully I will be able to update from Iraq. Soon. A very evil individual got whacked in a car bomb yestersday. 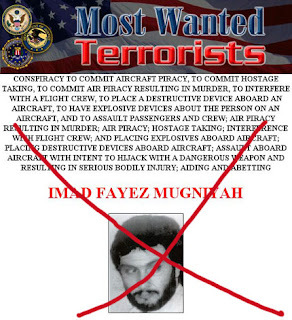 Imad Mughniyeh, may he burn in hell, the Hezbollah planner for many attacks in the 1980s assumed room temp. He was responsible for hundreds of murders, kidnappings, highjacks, bombings. He is considered a hero by Iran, Syria, and his Hezbo lemmings. They acuse Israel as usual for his demise and and demand revenge. Imad, may he burn in hell, kills hundreds of innocent people and he gets killed. He dies and Hezbollah will blow up more cafes, pizza places, busses. 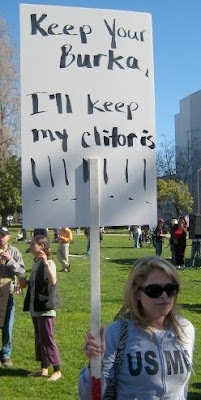 OK that seems fair. I just got word that Major John and the detachment from the 108th have safely arrived in Kuwait. I don't suppose MJ has much internet access yet so I figured I'd post this. I'm headed out for Kuwait, to in-process, then up to Phoenix Academy in Iraq to complete preparations. Once I settle in, I'll try to start regular updates. In the meantime, contact may be sketchy. Over the coming summer and autumn, 3000 Illinios National Guard members from my Brigade will be going to Afghanistan to build the National Army and Police. 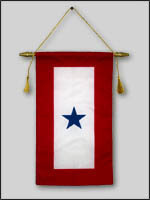 We will take over the Task Force from the 27th New York Brigade. We will be increased by almost 4000 coalition members from 18 different nations. I have been given the opportunity to go back again and help this nation and people in need. I hope to be blogging from that theater. Cyd Mizell, 49, and her Afghan driver, Muhammad Hadi were seized while travelling to work on 26 Jan . They have not been heard of since. She was well liked and respected where she worked. There have been demonstrations held by the women of Kandahar calling for her release. Prayers for these brave individuals who face danger with a different calling than ourselves. The threat of the Warlords is alive and well. They have to do something. 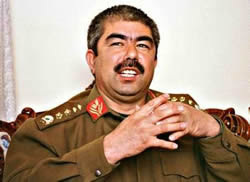 General Dostum (ret) used to be the Commander of the Army. Now he is a security advisor for the Karsai Government. Looks like he was showing everyone how security is acheived in the capital. Maybe he should concern himself with the countryside.